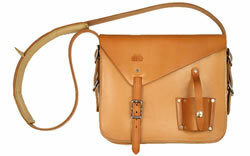 These are the most durable leather field cases that we have seen. They are designed to last a lifetime of heavy use. Gfeller Leather Utility Tote Bag: The perfect field brief case for geologists, surveyors, engineers and others who work in the field. 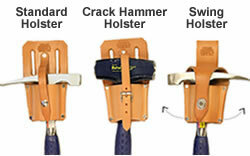 Gfeller Leather Hammer Holsters: Durable holsters that are comfortable and will last a lifetime of regular use. 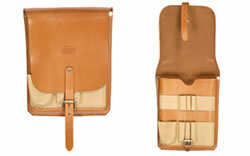 Gfeller Leather Field Case: The perfect belt case for your field book, folded topos, acid bottle, pencils, ruler and more. 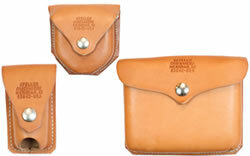 Gfeller Tool Cases: Great cases designed for your Brunton compass, acid bottle and small tools. 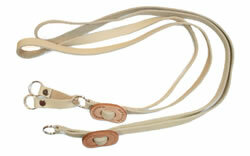 Gfeller Leather Lanyards: The perfect way to carry a hand lens, small knife or keys in the field. Keep them handy and prevent loss! 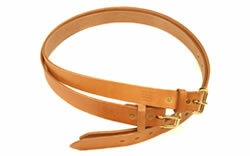 Gfeller Leather Belts: Durable leather belts that will carry heavy tools and stand up to years of use in the field. 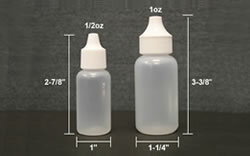 Dispensing Bottles: One-ounce and half-ounce bottles used by geologists for dispensing dilute HCl (5% or 10%).